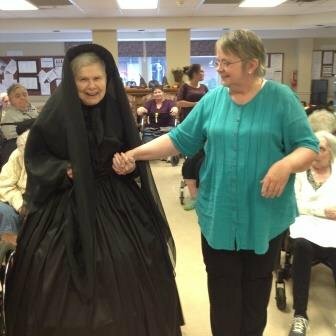 At Extendicare St. Catherines, we had a Victorian Fashion where residents and staff dressed up in the Victorian Era. At Extendicare St. Catherines, we had a Victorian Fashion where residents and staff dressed up in the Victorian Era. The theme this year was Gone with the Wind. Every clothing item/ dress was designed using the actual movie costumes as reference. Throughout the presentation, the presenter Nancy McLeod discusses the relevance to the movie and the actors/ actresses who wore the dress. Nancy also did a Victorian medicine show where she goes through the history of medicine and discusses procedures as they occurred in the Victorian era. Residents enjoyed dressing up while learning history. It was a fun afternoon. 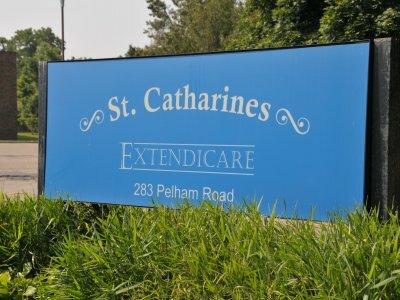 Jeanette, the Program Manager was recognized by Mainstream, a charitable non-profit partner of Extendicare St. Catherines for her outstanding contribution to the community for the developmental challenged. Mainstream is all about “People Supporting People”. 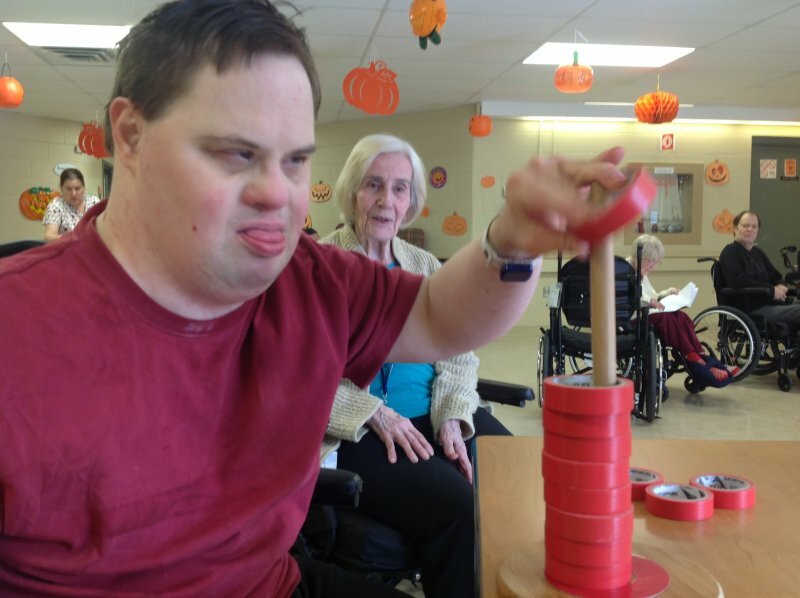 It is a fully accredited non-profit organization providing progressive residential and day support services for adults with a development disability. Each year, Mainstream celebrates and recognizes the outstanding efforts of community members who made a positive difference in the lives of people they support. 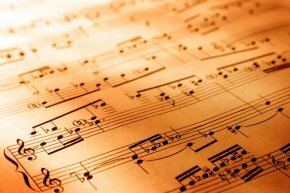 “You have supported several people through Mainstream and gone above and beyond by always advocating for them to ensure success for each person’s skills. With your inspirational leadership, you are a key contributor to growing a more viable and inclusive community. We are grateful for the compassion and commitment you have shown to help people live more meaningful lives,” said Mainstream. 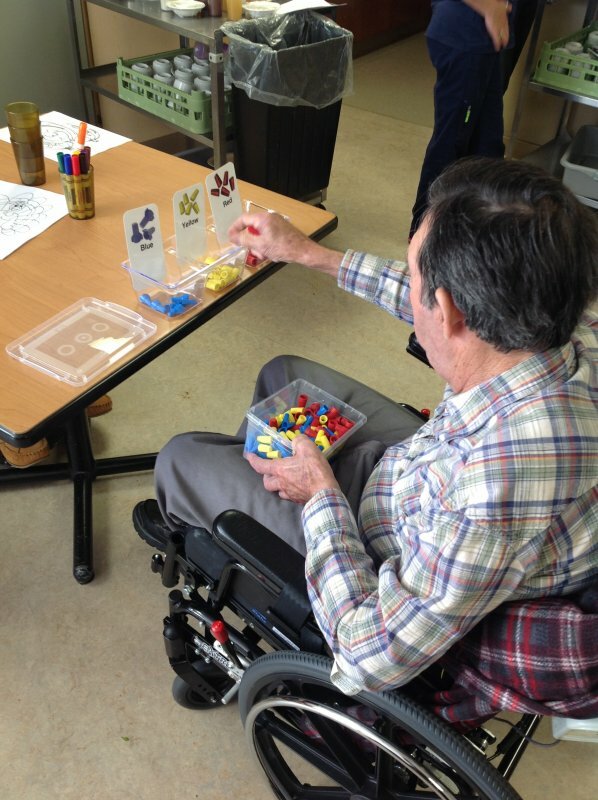 A group of residents gather together to learn about “Brain Basics”, problem solving skills and ways to improve self-esteem while having fun. When everyone comes out for the Circle of Support Group, there are about 12 people around a table with a large box of Tim’s coffee. Diane Thomson pulled some strings on the inside of this covert operation to get the people together and secure a space so that everyone could come together for the Circle of Support Group. 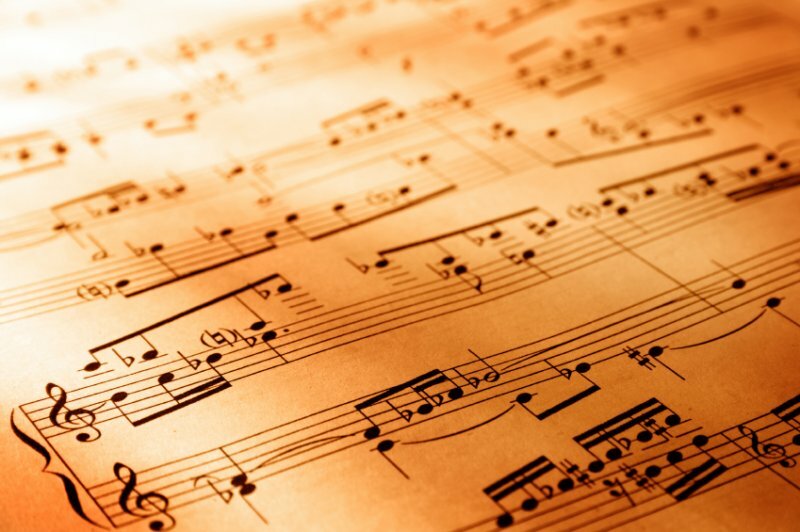 The first few meetings were brainstorming ideas of what the group would like to accomplish. It was decided that the group would learn about brain basics, problem solving skills, ways to improve self-esteem and of course play games and have fun! During one of the brain basic classes, we learned about the frontal lobe and its role in planning and organizing. We planned and organized all the steps involved with making a pizza. With the help of ECU kitchen staff and Keith, who helps with just about everything, we made some gigantic, delicious pizzas. We have also discussed self-esteem. 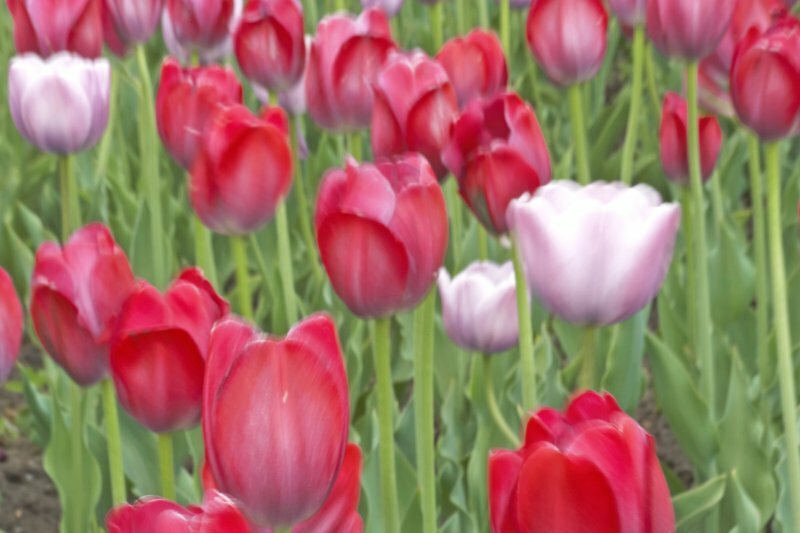 Part of self-esteem is recognizing where you are going and where you have been. Everyone in the circle of support had to cope with huge obstacles such as physical challenges, cognitive challenges, death and loss. Coming through the other side of such adversity can wear a person down and helped them realized that they are stronger than they thought. 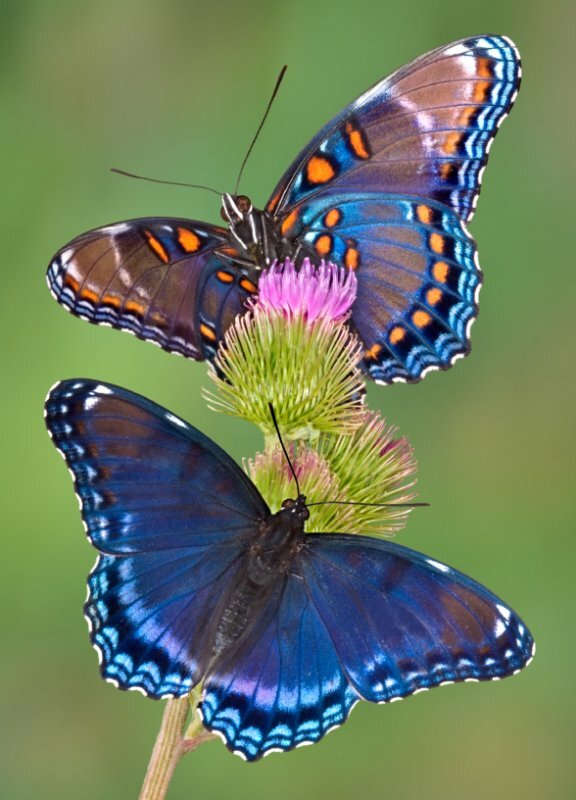 Sharing kind words with each other, encouraging each other and helping each other out physically and emotionally is a wonderful benefit of the group. We have discussed practical ways to work through personal problems such as getting lost out in the community, carrying a cell phone and a map or asking for help. We planned some S.M.A.R.T. goals like eating better and working out once a week at the YMCA. We brainstormed ways of dealing with stress such as getting together with a support group! We have also played Memory, Family Feud, Fact or Crap, Headbandz and Would You Rather. It has been lots of fun, lots of laughs, a few tears and lots of coffee. But this is only the beginning! 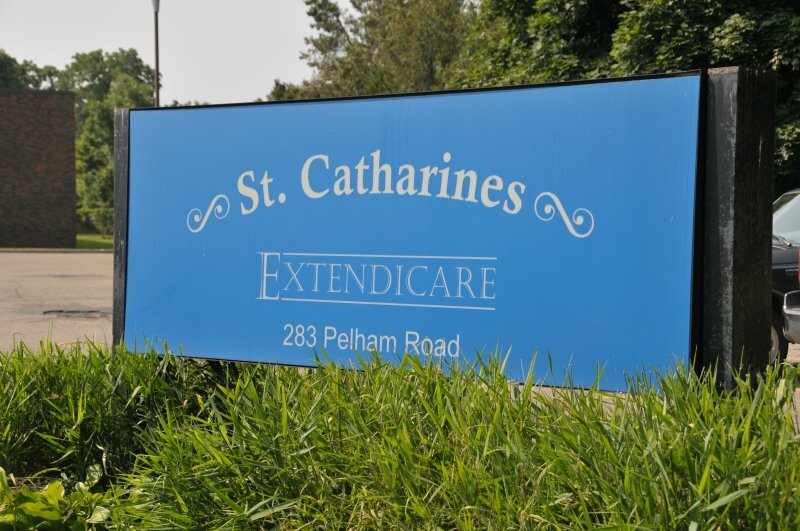 We’ll keep you posted as to what continues to develop in our Circle of Support Group at Extendicare St. Catherines. Special thanks to Keith who helps with everything, porters people, sets up tables and white board, pours coffee and helps clean up. If there is time left over, he also fixes TVs, reprograms remotes and signs a few autographs. Extendicare St. Catharines celebrated Dr. Brook’s retirement after 42 years of service. 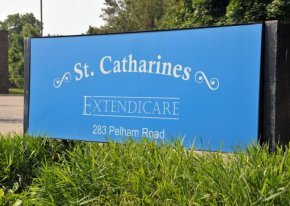 Extendicare St. Catharines celebrated Dr. Brook’s Retirement. Dr. Brook who is 92 years old has been our in-house doctor for over 42 years. Our home has been open for only about 45 years. So, he has been with us since the very beginning. Staff, residents and families joined in the big celebration with cake, fruits and other refreshments. 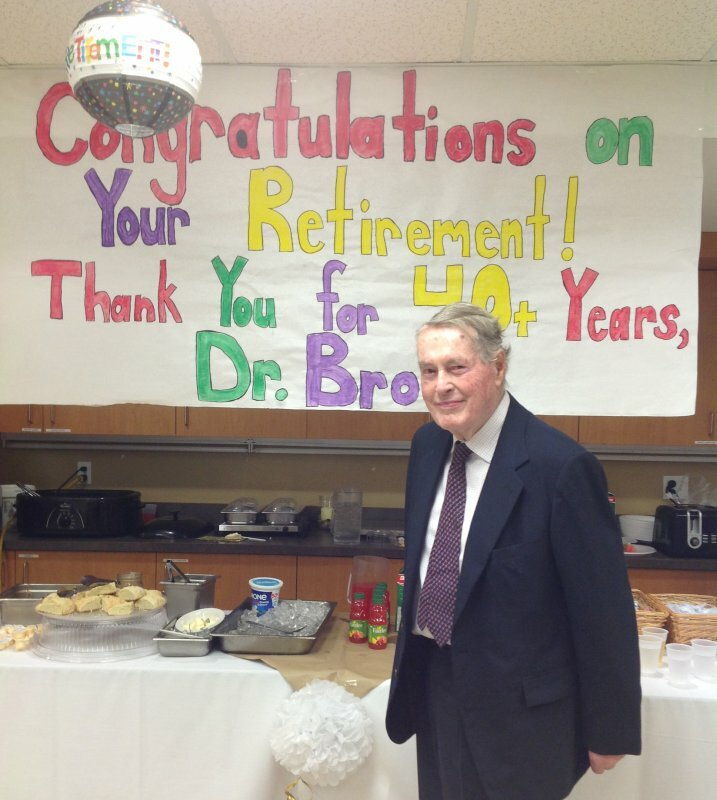 Thank you Dr. Brook for your hard work and dedication. We will surely miss you! Thank you all for your love and devotion towards my mother! I want to thank you all for your love and devotion towards my mother, Mrs. M over the past year. 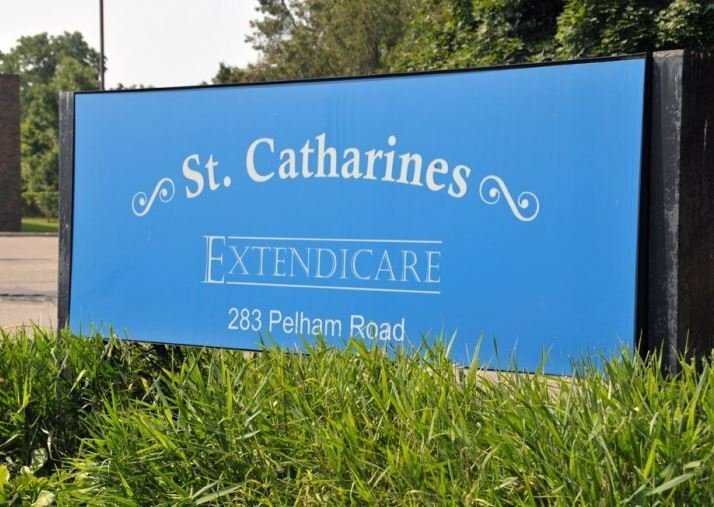 Although her stay with you was short she often expressed, although it wasn’t her idea of how she wanted to live her life in the end, she loved being at Extendicare for many reasons. To the Nursing Staff, PSW’s & Social Workers - You loved my mum like she was part of your family. You laughed with her and cried. She loved you…for you all treated her with dignity. You each personalized your relationship with her on various levels. That impressed her. To the Recreation Staff- My mum loved participating in the activities you had to offer her. She always loved a good time. There were many times she kicked me off the phone because she had to go to Pub Night or Game Night. It gave her something to look forward to- meaning to her life. She was always an involved person so the fact that she had things to do and places to go made her happy! To the Nutrition Staff- My mum was a foodie…for as long as I can remember she was always finding new recipes and tasting new flavors. She enjoyed the meals you had to offer - her favorite being the Pierogies! And of course, being a diabetic, well, it didn’t matter because dessert was an important part of each and every meal! To the Physio Team- when mum resigned herself to the fact that she had to walk herself in a wheel chair she was okay with it….thank you for helping her to help herself. Her independence was key to her happiness. To the Administration Staff- My mum enjoyed popping in to say hello to you all and liked how you were just as involved in her care as all the other components within Extendicare. Finally, to all of the residents who befriended my mum…thank you. Having a network of friends no matter how big or small meant the world to her. 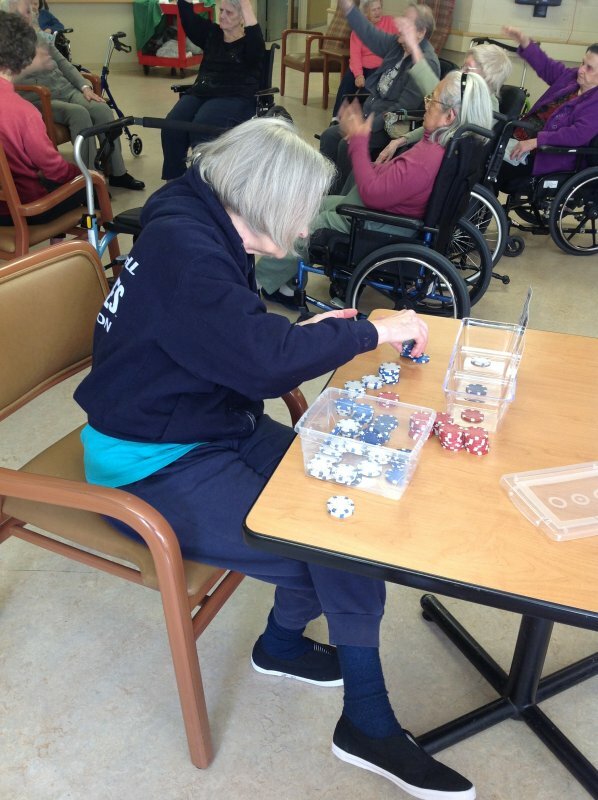 Residents at Extendicare St. Catherines engaged easily with Montessori kits provided by Dementia Support. Staff were educated on how to use these kits with the residents. The Montessori kits were very successful even with the most challenging residents or residents with special needs (down syndrom, autism). 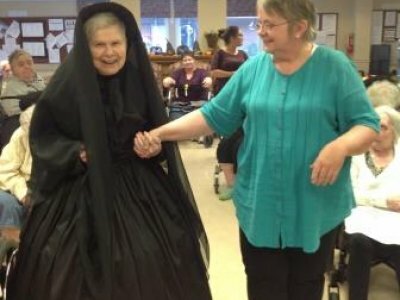 B., 84, was feeling down because she couldn’t attend her granddaughter’s wedding in Ottawa so our Director of Nursing decided to do something about it. B., 84, was feeling down because she couldn’t attend her granddaughter’s wedding in Ottawa so our Director of Nursing decided to do something about it. She arranged with the family to have B. attend via Skype. B. and her friends got all dressed up and our Director came in on the weekend, set up the connection and B. had the time of her life as she talked to her granddaughter and watch her granddaughter get married. A., 80, was very depressed when he first arrived and just stayed in his room. A., 80, was very depressed when he first arrived and just stayed in his room. He refused to participate or come out no matter how hard our staff tried to coax him out. Then, one day we got a casino slot machine to add to our activity room and it piqued his interest. He started to come out to use the slot machine. Soon he was interacting with other residents and engaging in other activities too. Regular attendance at meals followed and before long, A. was one of our most engaging and friendly residents. We saw him transform from a depressed recluse to a social butterfly. All thanks to staff that never gave up and a single slot machine. J. was 25 when he was struck by a car while skateboarding. J. was 25 when he was struck by a car while skateboarding. He came to us after 5 years of being in a hospital bed and on a feeding tube. He couldn’t walk, talk or feed himself and, at first, it took 6 staff to move him. But with the dedication of his care team and the tireless work of our therapists, he slowly began to improve. Today, he “talks” through his Talk Rocket iPad app, cheers on his beloved Boston Bruins and, with the assistance of 2 staff, goes to Wal-Mart in his wheelchair a couple of hours a week to greet shoppers through his iPad.